It was the game he’d been waiting for. 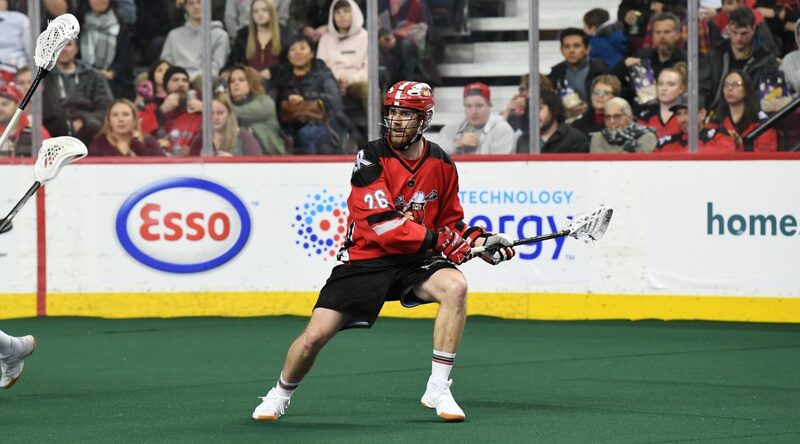 Making his Roughnecks debut at home on Dec. 15 against the Vancouver Warriors, Calgary native Dan Taylor didn’t waste much time making a difference. At the 8 minute mark of the first quarter, he fed Dane Dobbie for the power play goal. After another power play assist to Dobbie in the second quarter, the veteran lefty re-paid the favour with a quick dish to Taylor from behind the net. No question the fans enjoyed the play, too. The 6-foot-3, 215 lb southpaw was a top offensive performer for the Roughnecks in their home opener, finishing the game with one goal and five points. Not a bad start for Taylor, as that point total matched his final tally from all of last season. Though despite his strong effort, he’s not satisfied with the result – a 14-13 OT loss to their division rival. But it wasn’t all for nothing. The team’s performance, while it did leave something to be desired, did provide some positives in which the they could build off of. Luckily for the Roughnecks, they’ll get their shot at redemption this weekend as they head to Vancouver on Dec. 21.